A small group of Oklahoma science and math teachers is turning what might seem impossible into real campaigns to advance education across the state. The OKMath/OKSci Leadership Program, sponsored by the Oklahoma State Department of Education (OSDE), goes beyond professional development and helps teachers enhance their leadership capacity. Teachers from K-12 and CareerTech collaborate to solve problems they encounter in their classrooms, schools and districts. Networking with other teachers is the first step to pushing the teachers beyond their comfort level and inventing solutions for education through the program that got its name from #OKMath and #OKSci, hashtags that connect math and science teachers on Twitter and Facebook. Each OKMath/OKSci Leadership class meets three to four weekends over the course of a year and consists of 40 teachers chosen through an application process. Neill said teachers come to it looking for basic lesson plan ideas, but soon find the program delves much deeper into the challenges of education. Members of the OKMath/OKSci Leadership class are expected to develop keystone projects that they can take back to their communities. Traci Richardson, who teaches chemistry, biology and physics at Stillwater High School, said OKMath/OKSci Leadership provided her the resources to visit with other science teachers in the state. Her keystone project was the Shifting Science blog, in which she shares how she is implementing state science standards. The blog is hosted at www.oksciteachers.com. Richardson said she has enjoyed being part of national teacher collaboration programs, but OKMath/OKSci Leadership has helped her face circumstances unique to Oklahoma. Mandy Karleskint, a pre-algebra and Algebra 1 teacher at Wells Middle School in Catoosa, saw students struggling with low scores at her school. She said the training she received from OKMath/OKSci Leadership gave her the confidence to approach district leaders about implementing a remediation program. Students who did not pass the state test last year now receive extra attention through an additional math class to help them catch up. “We slow it down. They work at their own pace. We have small classes. All classes except for one are below 10 (students) in the remediation class, so we can do that one-on-one teaching because not all students need the same things,” Karleskint said. Karleskint is still seeking funding for the remediation program, about $1,400. However, it is already yielding results after just its first month. “There have been a couple of students that said, ‘I didn’t get this last year, but it makes sense now,’” Karleskint said. Annette Huett, a fifth-grade teacher at Houchin Elementary in Moore, saw a need for more emphasis in science in the lower grades. She successfully sought a grant that has allowed her to become a science coach to other teachers in the district. She meets with teachers after school, and the grant pays for substitutes so teachers can come to her classroom to watch her model teaching strategies. As a result, said Huett, one of her colleagues has a new approach to science instruction. Huett’s OKMath/OKSci Leadership project prompted an invitation from U.S. News & World Report to speak at one of its conferences about why science is important in the lower grades. The ultimate goal of OKMath/OKSci Leadership is for teachers to pitch their solutions to a broader audience. The program’s final meeting includes diverse stakeholders such as community members, business and industry leaders, legislators, administrators and university leaders. “When those teachers make the pitch, they become so passionate about their project that they make sure it happens or moves forward in some way in their district. A lot of the ideas are so good that we turn them into projects at the state level,” Neill said. Graduates of the program typically build on their leadership skills after the program. For instance, Richardson joined the state’s academic performance standards-writing committee. Shawn Sheehan, recently named the 2016 Oklahoma Teacher of the Year, developed his Teach Like Me campaign as part of the OKMath/OKSci Leadership program. Other successes of the program include the development of an online professional learning community, a formalized plan to bring in parents to a campaign to help education, and a pending patent for a student table designed to aid instruction. 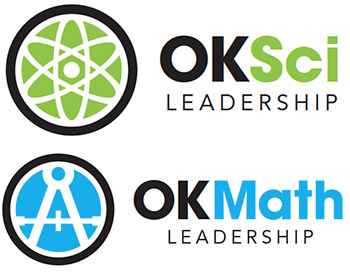 The OKMath/OKSci Leadership program has also been recognized nationally by groups such as the National Science Teachers Association, The Research and Practice Collaboratory and other state agencies looking at modeling similar programs. The due date for applications for his year’s OKMath/OKSci Leadership Program has been extended to Sept. 29. To apply, go to https://www.surveymonkey.com/r/okmath_oksci_class2.